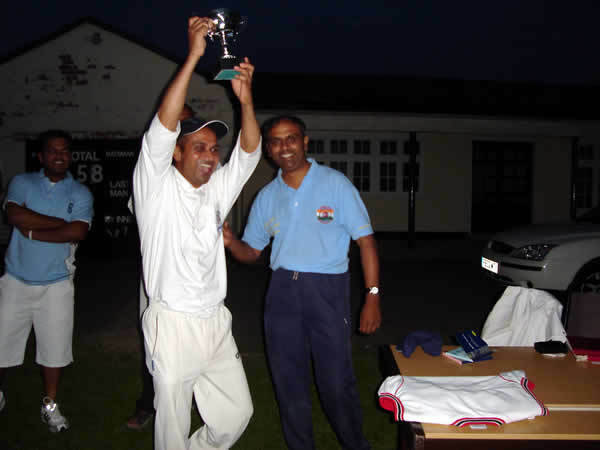 TAVDI CRICKET CLUB ( UK ) WINS INDEPENDENCE CUP. 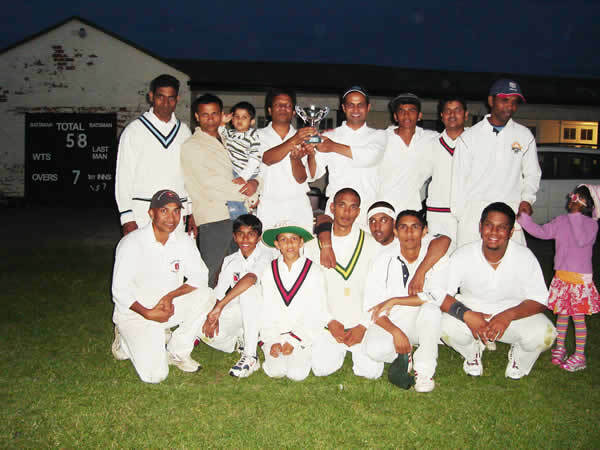 Bharat Cricket Club organised a Cricket Tournament in which four teams took part in which Tavdi come out winners. This is a yearly event in which Tavdi lost year in the finals. 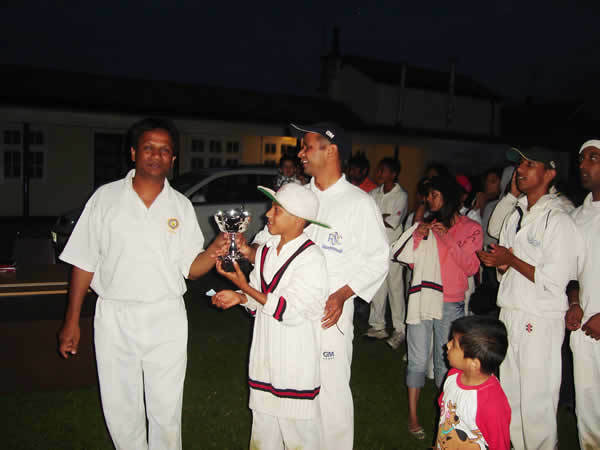 This year Tavdi come out strong and good performances from Tavdi youngsters helped them in winning the cup. 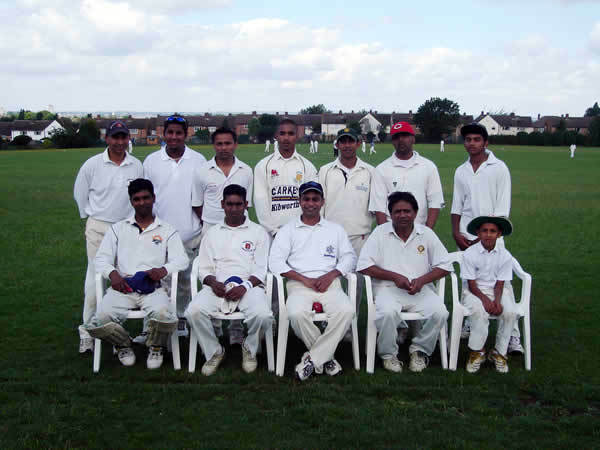 Match 1 – First match was with Asian C.C, Tavdi won the toss and decided to field. Asian C.C. scored 84 runs. (Bharat took 2 wickets for 9 runs). Tavdi In return managed the above score with 2 overs to spare, thanks to G.D’s quick fire 25 runs. In return Tavdi again managed the above score with 6 overs to spare. Thanks to Raman’s valuable 25 runs. Match 3 – This was against Leo C.C who won the toss and decided to bat first. 90 runs were scored (again 3 magic wickets from Kapil for 7 runs). This was a very close match, Tavdi needing 12 runs in the last over, Sundeep hit successive boundary’s and won the match for Tavdi. The Final Match was reduced to 10 overs due to weather conditions. This was between Bharat C.C and Tavdi. The toss was won by Bharat C.C. who chose to field. Members of the Tavi Village Cricket TeamTavdi scored 72 runs, thanks to Kapils superb 36 not out. In return to this Bharat C.C. were only able to get 64 runs ( Vinesh took 1 wicket for 6 runs). A Well deserved win for Tavdi and a great day’s fun!